CHINA - Ruder Finn has signed an agreement with non-profit organization Heifer China to provide integrated communications in digital and traditional PR. Heifer China assists with poverty, sustainability and training initiatives and Ruder Finn said the partnership was established on the basis of a mutual commitment to charity work, social responsibility and sustainable development. March 2015 marked Heifer China’s 30 years in the country and during that period it has helped more than 100,000 families. In 2014, it announced a plan to help one million families by 2023. 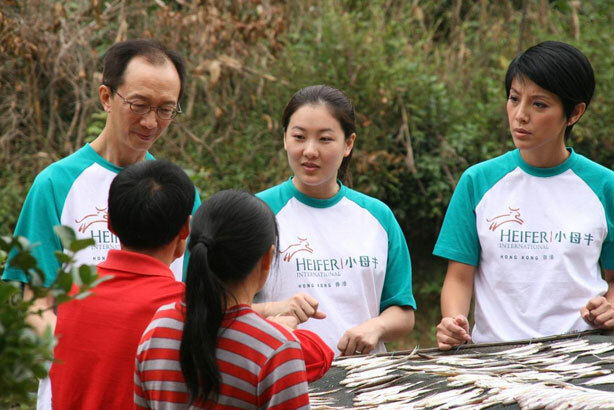 "The amazing goal of Heifer China to help one million families out of poverty really hits the core of what Ruder Finn believes in," said Elan Shou, Executive Vice President, managing director of Ruder Finn Greater China. "We are proud to be part of such a major undertaking and will certainly use our resources and network to achieve it."